Story: The worst punishment for an artist is to make them perform in front of an audience that does not know how to enjoy their art. Imagine Sachin Tendulkar playing in front of a bunch of American-football fans.. or Pt. Jasraj singing for an audience that only enjoys dhinchak bollywood music.. It is like making me read a G. A. Kulkarni book or making me understand a poem by Grace. I just don't get it! Here's another way to look at it.. you should know your audience when you present, perform or cook! Not that I am claiming to be an artist or anything.. but I think every cook needs an audience that can enjoy and critique their creations. I wouldn't cook fish.. that too.. my most favorite fish - Salmon for people that don't care for fish. Combine parsley, thyme, sesame seeds, lemon zest, lemon juice and fennel fronds. Season Salmon pieces with olive oil, salt and pepper. Roll the Salmon pieces in herb mix. 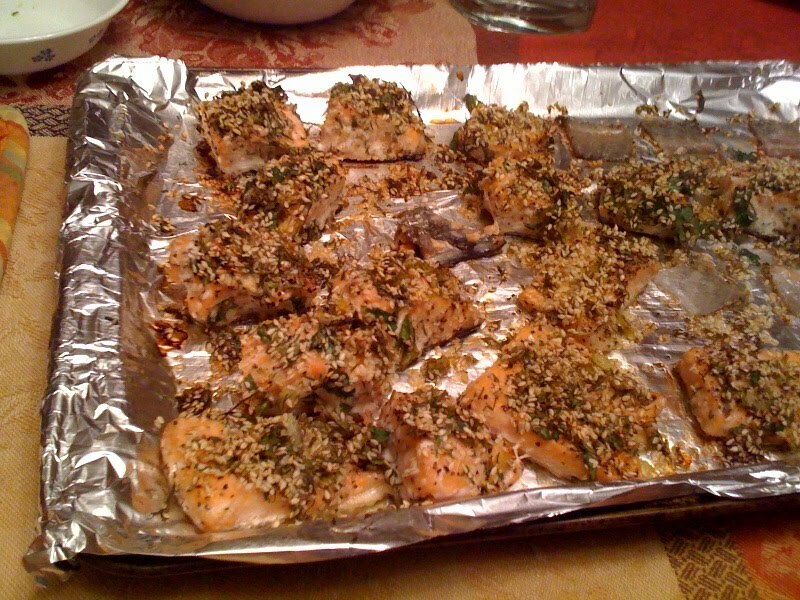 Coat a baking tray with olive oil and place the Salmon pieces on the tray. Bake for 15-20 minutes till the Salmon gets a pinkish white color. 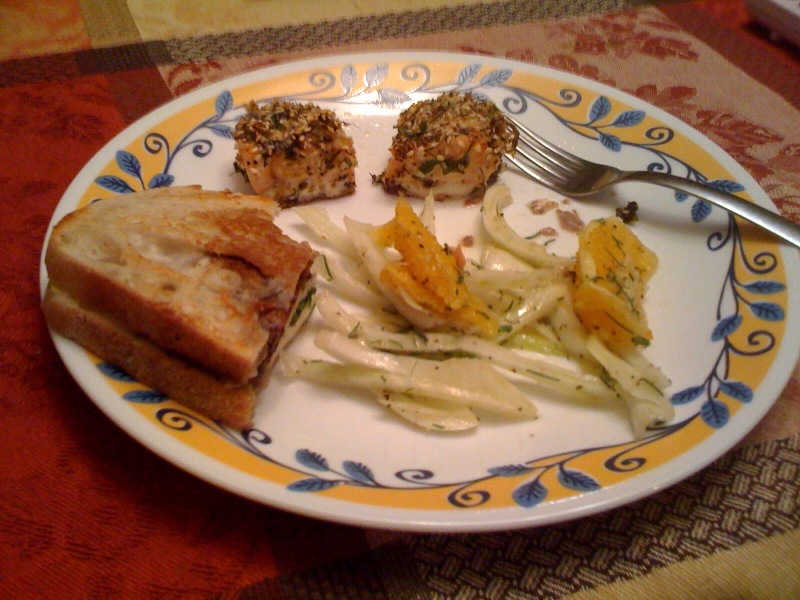 Enjoy with your favorite salad.. ideally with the fennel and orange salad that's coming soon. I love Salmon too.. do the sesame seeds add a crunch?